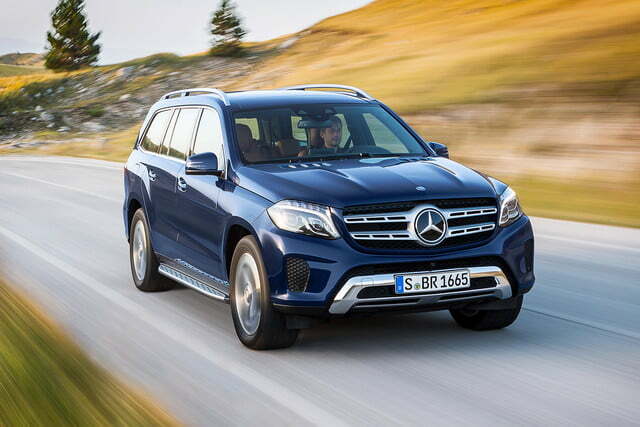 Mercedes-Benz has introduced the 2017 GLS-Class, a new model that replaces the GL. 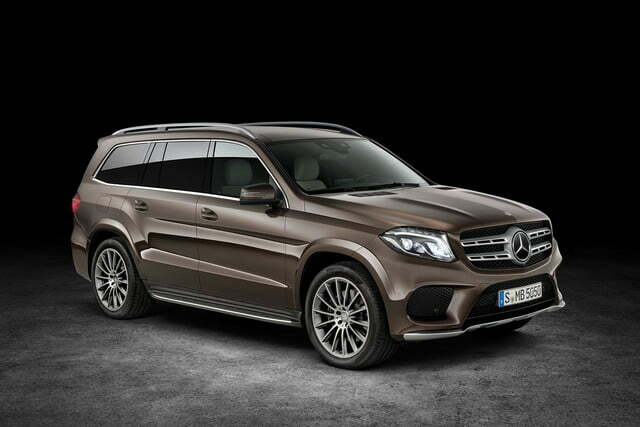 The first-ever GLS is scheduled to greet the public for the first time later this month at the Los Angeles Motor Show. 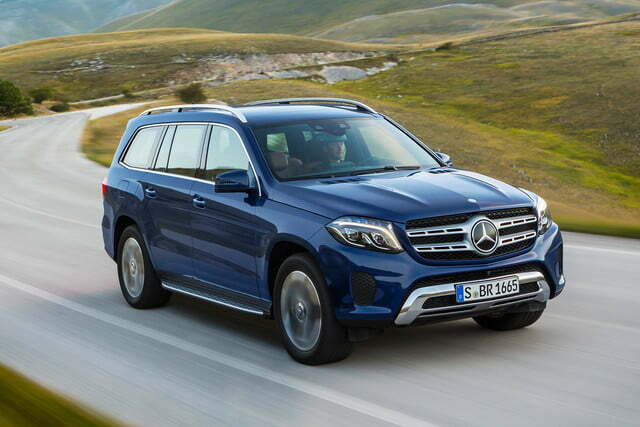 Billed as the S-Class of the SUV segment, the GLS gains a redrawn front end that predictably falls in line with Mercedes’ latest design language. 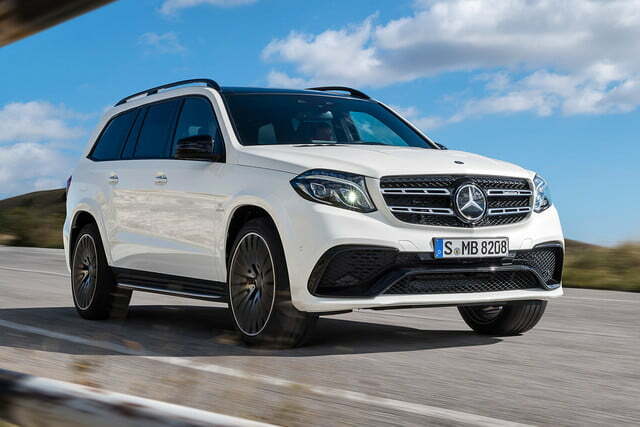 It features a twin-slat horizontal grille with a big three-pointed star emblem, bullet-shaped headlights, and a new hood accented by a pair of power domes. 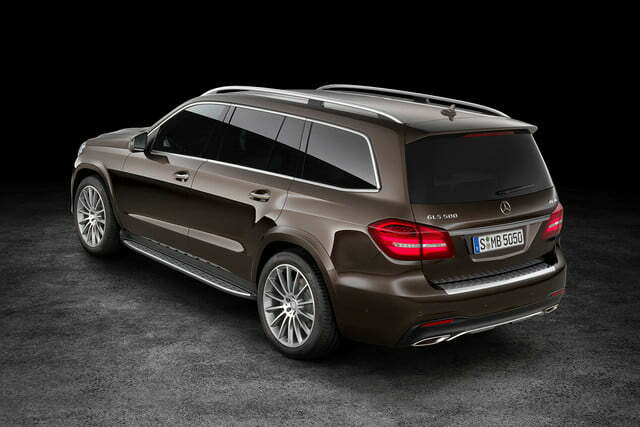 Out back, the SUV is fitted with sleeker-looking LED tail lamps and a more streamlined lower bumper. Chrome accents add a touch of elegance to the boxy silhouette, while new alloy wheel designs and additional paint colors round out the list of exterior updates. 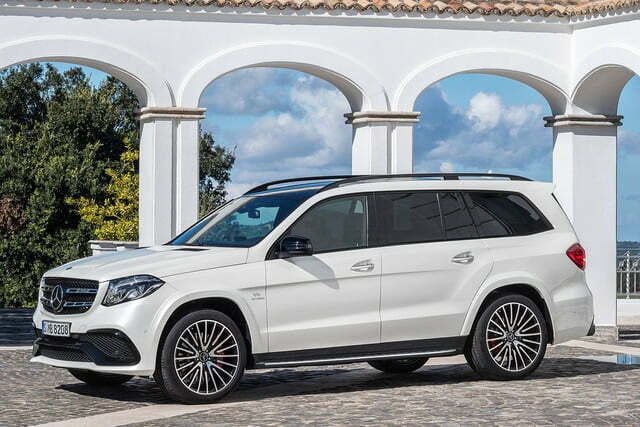 Select models can be ordered with a Sport exterior treatment that brings add-ons such as a deeper front bumper with three mesh air dams, side skirts, a roof-mounted spoiler, and specific 21-inch alloy wheels. 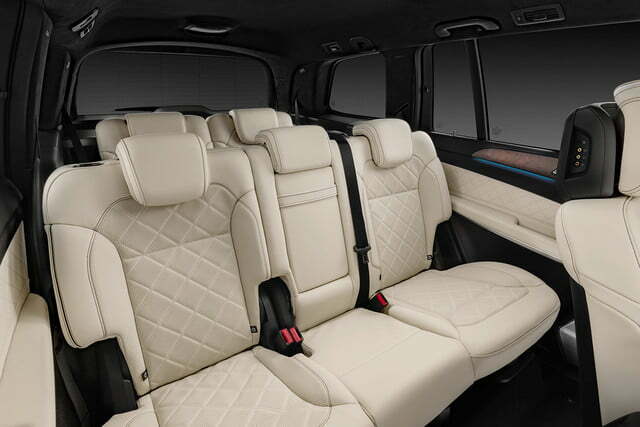 With seating for up to seven passengers, the GLS’ spacious cabin receives a three-spoke steering wheel, a more modern-looking instrument cluster with a configurable TFT screen, and a new center console with a touch pad that lets the front passengers navigate the infotainment system. 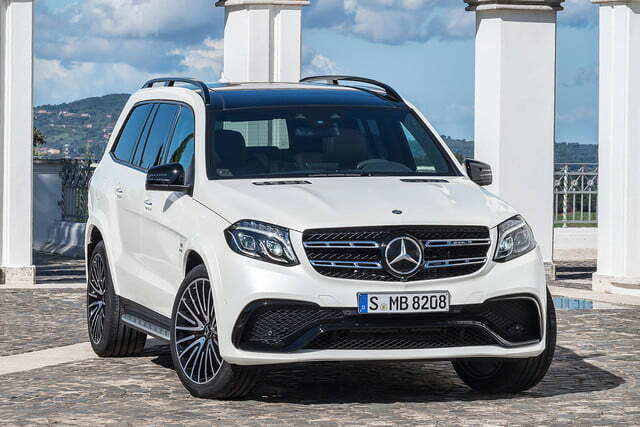 Mercedes has also fitted its biggest and boldest SUV with a high-resolution eight-inch touch screen that sticks out from the center console. 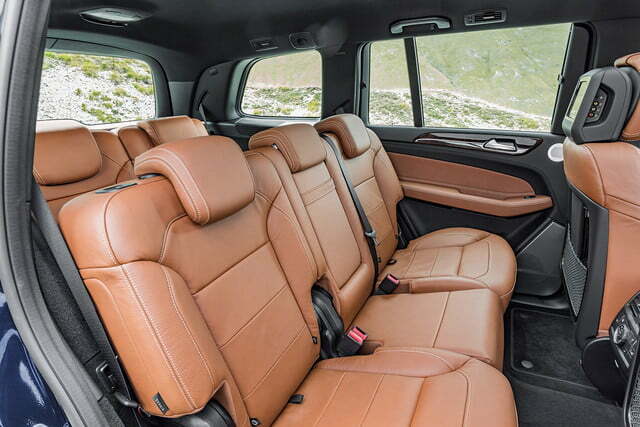 Leather upholstery comes standard on all versions of the GLS, and buyers can make the off-roader their own by choosing from one of five trim options such as black, ginger beige/espresso brown, and saddle brown/black. 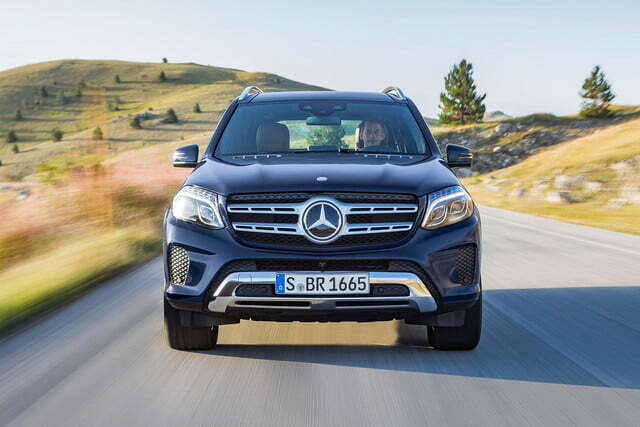 The GLS’ long list of standard safety features includes crosswind assist, collision prevention assist plus, attention assist and numerous airbags. 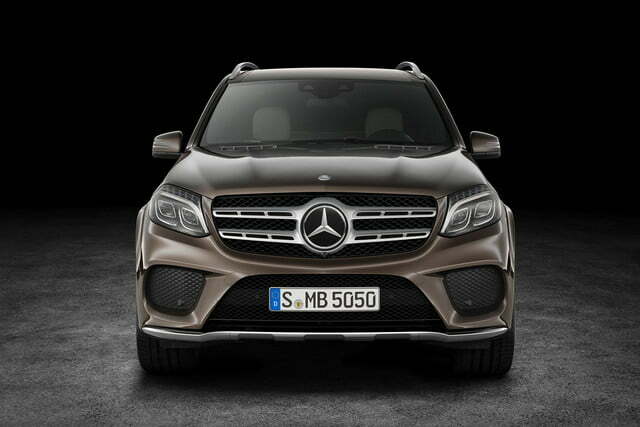 For added peace of mind, Mercedes’ excellent Distronic Plus technology is offered at an extra cost. 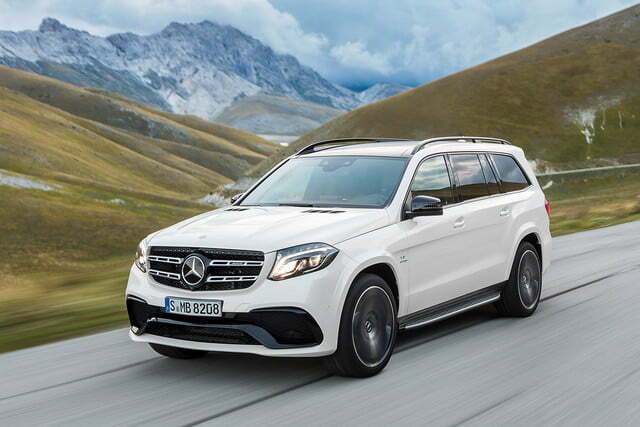 The GL’s engines carry over to the GLS with minor modifications that promise to boost performance and — importantly for a roughly 5,500-pound behemoth — gas mileage. 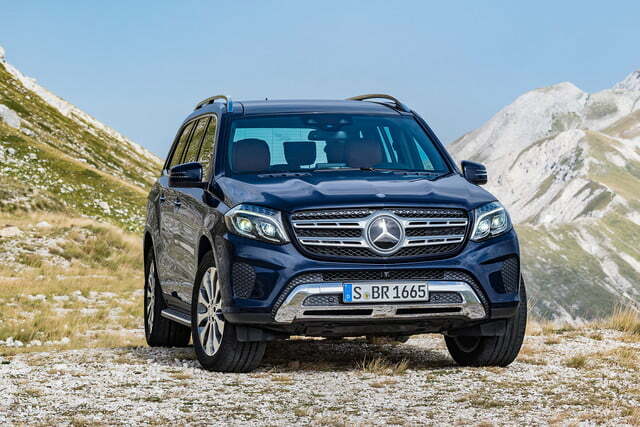 Positioned at the bottom of the lineup, the GLS400 packs a twin-turbocharged 3.0-liter V6 engine that makes 329 horsepower and 354 pound-feet of torque. 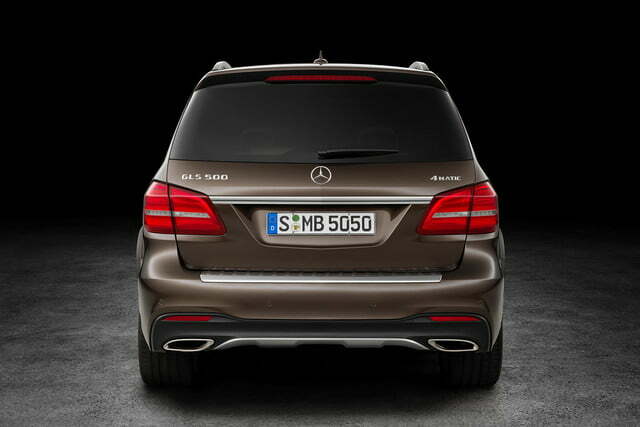 Next up is the GLS350d, which is powered by a 3.0-liter turbodiesel V6 rated at 255 hp and 457 lb-ft. of torque. 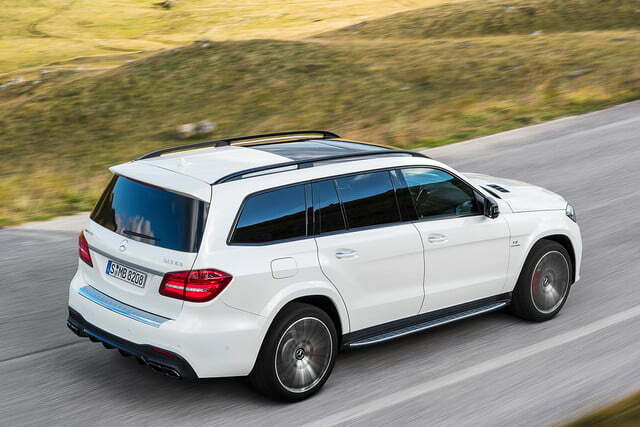 Finally, the GLS500 uses a 4.7-liter V8 engine that delivers 449 hp and a stout 516 lb-ft of torque. 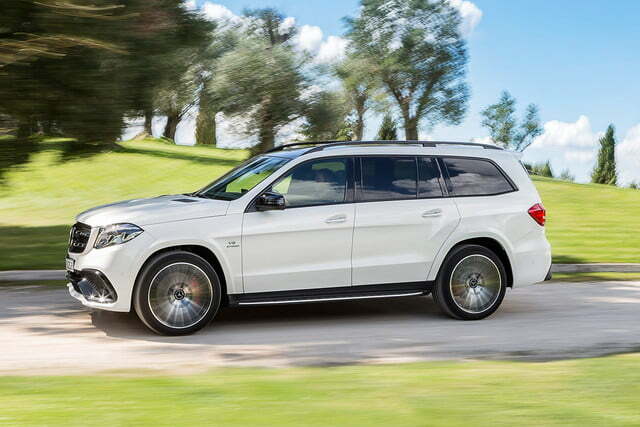 All engines are linked to a new nine-speed automatic transmission and Mercedes’ time-tested 4Matic all-wheel drive system. Adventurous motorists who regularly trek far off the beaten path can order a low-range gearbox and a center differential lock at an extra cost. 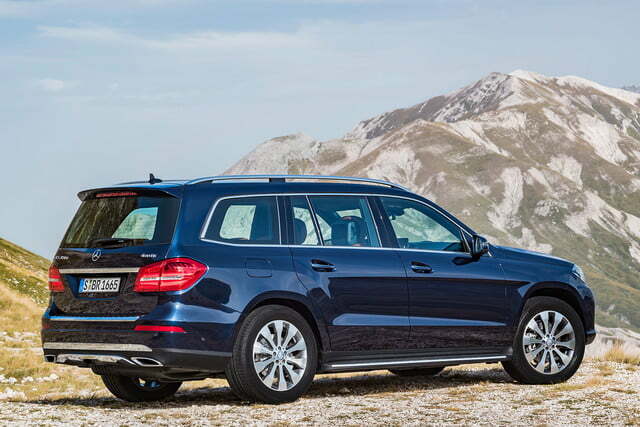 Don’t let its upscale look and its posh, comfort-focused cabin fool you, the GLS is capable of driving through over 23 inches of water when properly equipped. 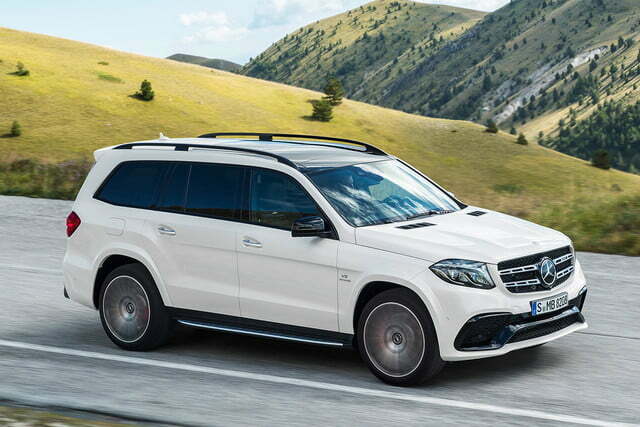 Positioned at the very top of the lineup, the physics-defying Mercedes-AMG GLS63 packs a hand-built 5.5-liter V8 that uses two big turbochargers to provide 577 ponies — 27 more than the outgoing model — and 561 lb-ft. of torque from just 1,750 rpm. 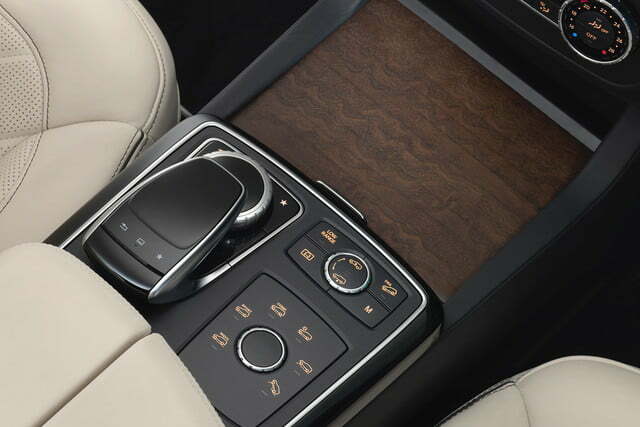 A seven-speed automatic transmission controlled by shift paddles sends power to all four wheels, but performance specifications haven’t been published yet. 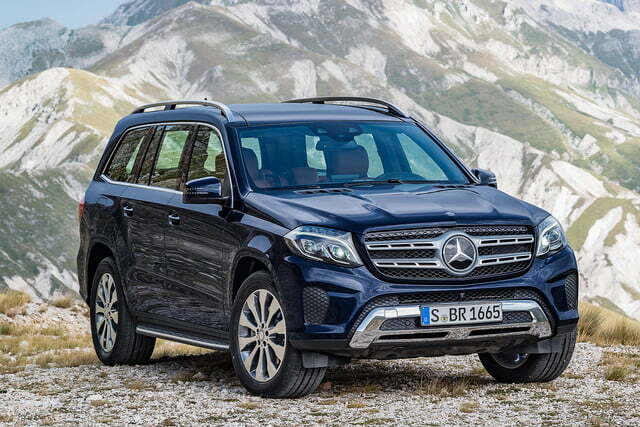 The 2017 Mercedes-Benz GLS-Class will go on sale nationwide next month, and the first deliveries are scheduled for March of next year. Pricing information will be published in the coming weeks.